DADaPalooza: Ninjago meets American Ninja Warrior-- this Sunday at Orland Park! Ninjago meets American Ninja Warrior-- this Sunday at Orland Park! If your kid is age 7-12 and is excited about Legos and about America Ninja Warrior, this next post is for you! 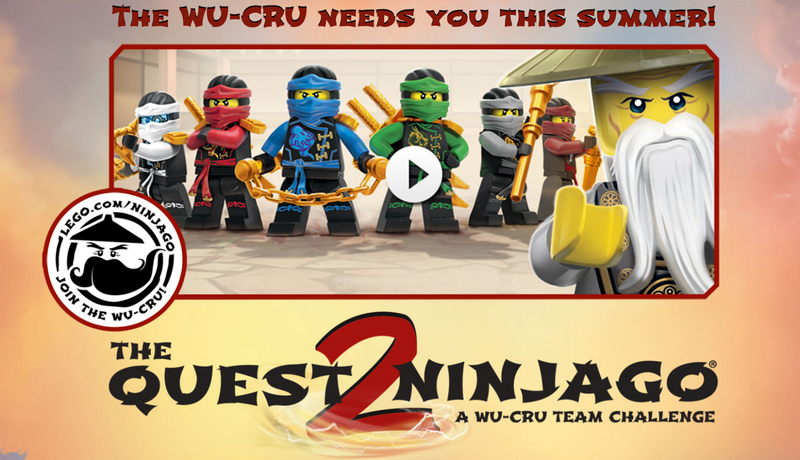 Marrying two great Ninja ideas into one, Lego has created The LEGO® NINJAGO™ Quest2NINJAGO™ WU-CRU Team Challenge. a highly visual and interactive obstacle course competition. This event will happen this Saturday and Sunday, July 23 and 24. All photos and images on this page courtesy of LEGO website. The basketball sized competition course, anchored by large-scale LEGO brick models of two popular NINJAGO characters, invites children ages 7-12 in teams of two to compete in eight timed physical and mental challenges. The top team from Chicago will be sent on an all-inclusive trip to LEGOLAND® California Resort to compete in the Finale, along with winners from other regional competitions, including places like Austin, Charlotte, Boston, and Los Angeles. Some of the city competitions have already happened and it looks like great fun! 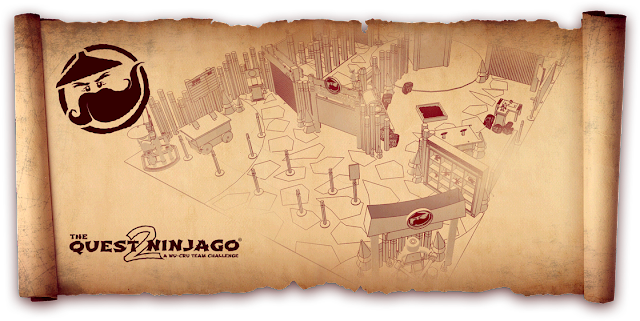 The event is FREE, but participants are highly encouraged to pre-register in advance on the Quest2NINJAGO tour site: LEGO.com/Quest2NINJAGO. There are some limited walk-on slots. We are going to compete on Sunday with a school friend. Our team is THE ROCKETS! Wish us luck!